WhatsApp chats and attachments are as important as any other data in your iPhone. So, it is important to make a backup of your device’s WhatsApp data using iTunes or iCloud backup. This is because you can use the backup if you accidentally lose any specific data. Many iPhone users, who regularly make a backup of WhatsApp data, wonder if they can check the WhatsApp backup and so they start searching on internet how to check WhatsApp backup file. Q 1. Can I open and view WhatsApp backup files of iPhone? When you back up WhatsApp chats and attachments of your iPhone on iTunes and iCloud, you cannot view those files directly. 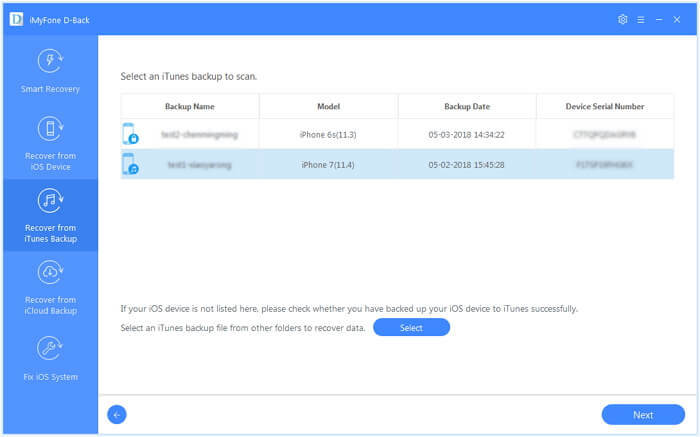 First, you need to restore either iTunes or iCloud backup to your device, only in this way you can view those backup files through iTunes and iCloud. 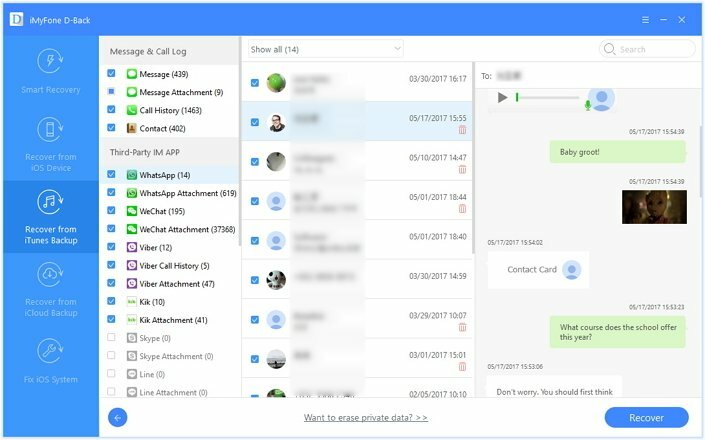 However, if you use all-in-one software, you can smoothly open and check WhatsApp backup files of your iPhone without having to restore them to your device. iMyFone D-Back is an efficient and secure data recovery tool that is designed to open and check WhatsApp data of your iPhone. You can open and view WhatsApp backups without restoring. You can open and view WhatsApp backup files without losing data. You can open and view WhatsApp backup files of iTunes and iCloud. You can selectively view and export data from WhatsApp backup files. 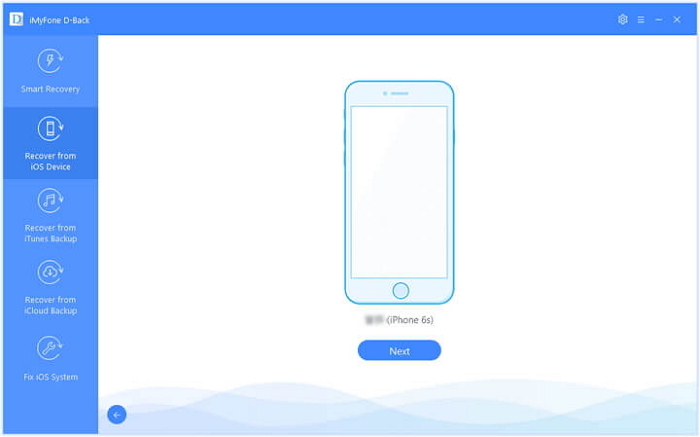 It is compatible with all the iPhone, including the latest iPhone XS/XS Max/XR. If you have a backup of WhatsApp data, do not hesitate to try iMyFone D-Back. If you want to know how to open WhatsApp backup file, refer to the steps below. 1. Launch iMyFone D-Back on your computer. 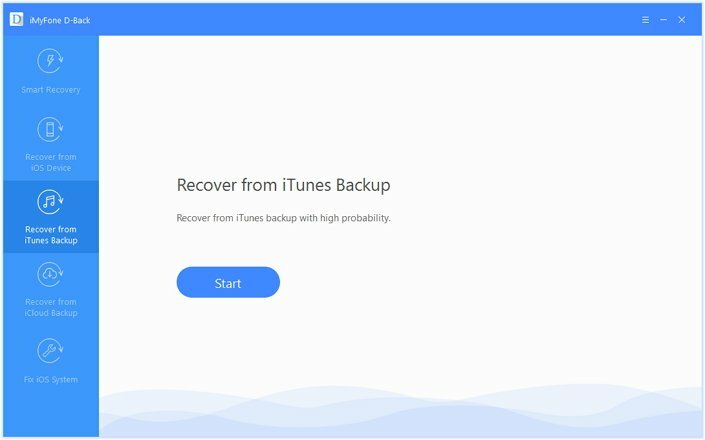 Select “Recover from iTunes Backup” and press Start. 2. All the iTunes backups will be displayed. Choose an appropriate backup and click “Next”. 3. All file types will be displayed. Select “WhatsApp” under Third Party IM App and click “Scan”. 4. The entire WhatsApp data will be shown when the scan is completed. Select the conversations and attachments you want to recover and click “Recover”. You can either choose an existing folder or create a new one to store the recovered WhatsApp data. When the process is over, you can open and check the WhatsApp backup file on your computer. 1. Launch iMyFone D-Back on your computer. Select “Recover from iCloud Backup” and press Start. 2. 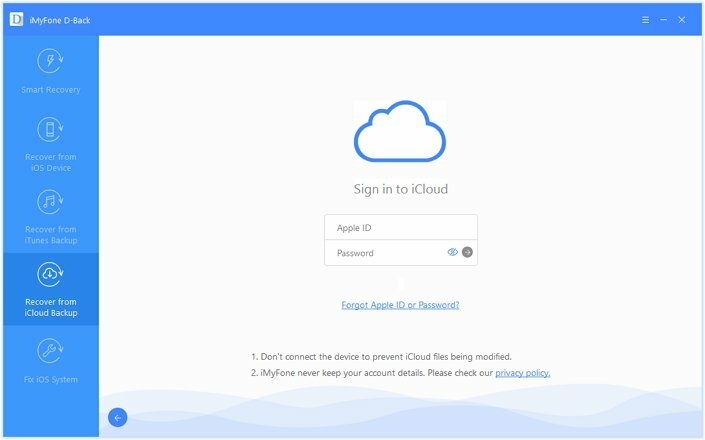 Sign in to the iCloud account using Apple ID and password. 3. 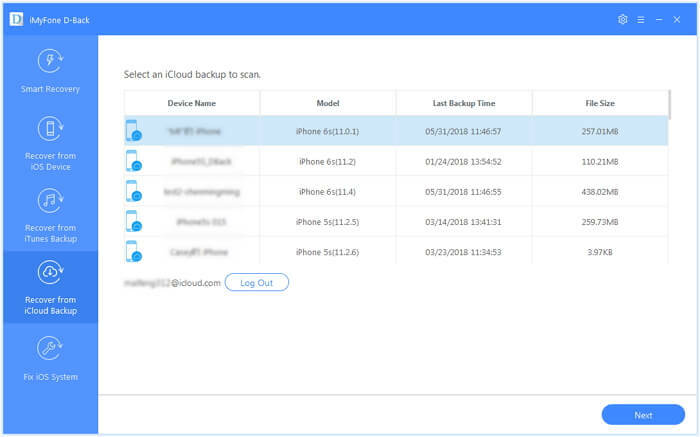 All the iCloud backups will be displayed. Choose an appropriate backup and click “Next”. 4. All recoverable file types will be displayed. Select “WhatsApp” and click “Scan”. 5. The entire WhatsApp data will be shown when the scan is completed. Select the conversations and attachments you want to recover and then click “Recover”. When the process is completed, you can open and check the WhatsApp backup file on your computer. If you are looking to check the WhatsApp backup files of your iPhone, iMyFone D-Back is the best option. This software has helped numerous iPhone users check and recover their data from their backups. Even if you have not created a backup of your device, you can efficiently recover the lost WhatsApp data using iMyFone D-Back. In case, you have not created a backup of your device’s data, including your WhatsApp chats, you can still check the iPhone WhatsApp messages. 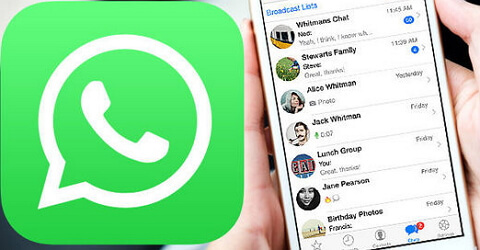 Here are the steps to recover WhatsApp messages from iPhone directly. Step 1.Open iMyFone D-Back data on your computer and select “Recover from iOS Device”. Click “Start”. Step 2.Connect your iPhone to computer. It will automatically detect the device and then click “Next”. Step 3.All file types will be displayed. Select “WhatsApp” under Third Party IM App and click “Scan”. Step 4.The entire WhatsApp data will be displayed when the scan gets completed. Select the conversations and attachments you want and then click “Recover”. When the process is completed, all the WhatsApp messages will be recovered from iPhone directly. If you use official iTunes and iCloud backup methods to restore the data, you cannot open and check the WhatsApp files of your device. You are only allowed to check after you restore the backup to your device. 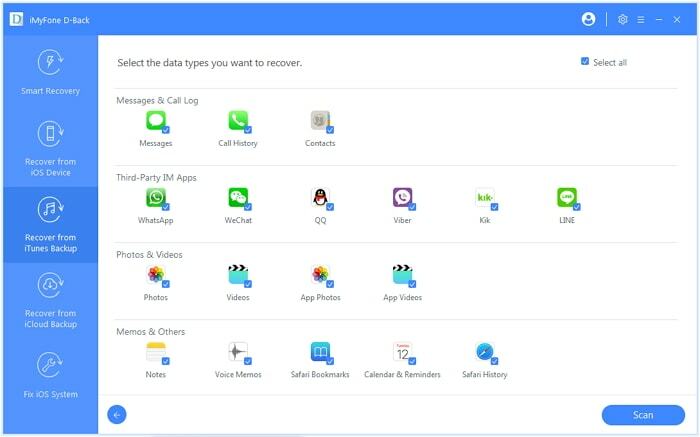 Using iMyFone D-Back, you can preview the WhatsApp data of your device before restoring the data. What's more, this tool is recommended by many professional websites, so there is no need to worry about the safety. If you want to know how to check WhatsApp backup or how to open WhatsApp backup file, you need to view the above-given methods carefully. Check the reviews of all the methods and choose the one you trust for checking the WhatsApp backup files. In case you have any doubts, you can ask in the comment section below.